The hot new trend in anti-abortion laws is “fetal burial” requirements, which force patients and healthcare providers to bury or cremate aborted and miscarried fetuses. As a hearing in Texas made clear yesterday, the law there is poorly thought-out, does very little to improve public health, and sounds a lot like it’s solely designed to create another obstruction to abortion access. 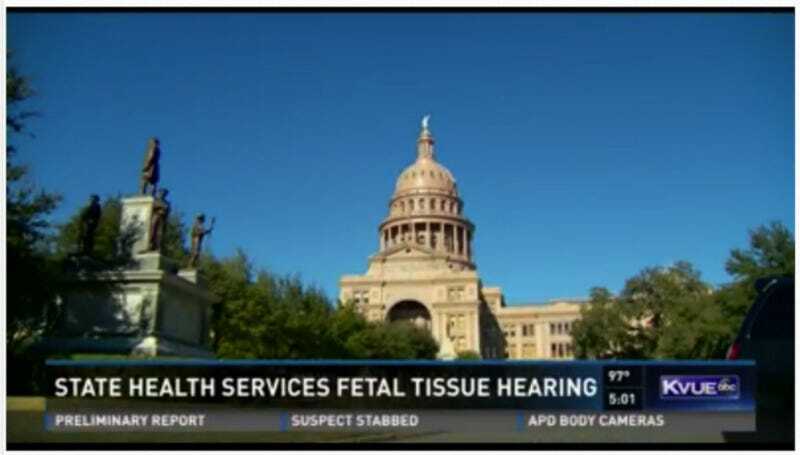 As the Texas Tribune reports, medical professionals, funeral directors and reproductive rights activists packed a Thursday hearing to tell the state that this is a very bad idea, creating new costs for patients and doctors alike. Funeral providers testifying pointed out that a basic funeral costs $2,000, and that it’s unclear just who would be expected to shoulder those costs. It’s also unclear whether women who miscarried at home would be expected to carry bloody fetal tissue to their doctor’s offices, and whether each fetus would be required to get a death certificate. The Texas Medical Association is also a little confused submitting a letter to the health department asking a number of very specific, granular questions: What about molar and ectopic pregnancies? If a death certificate is issued, would it be publicly available (potentially compromising patient privacy)? Is the measure feasible at rural healthcare facilities where there are fewer options for medical waste disposal companies? It’s almost as though the plan all along was to create new costs for abortion providers and new, uselessly cruel emotional and logistical hurdles for their patients.